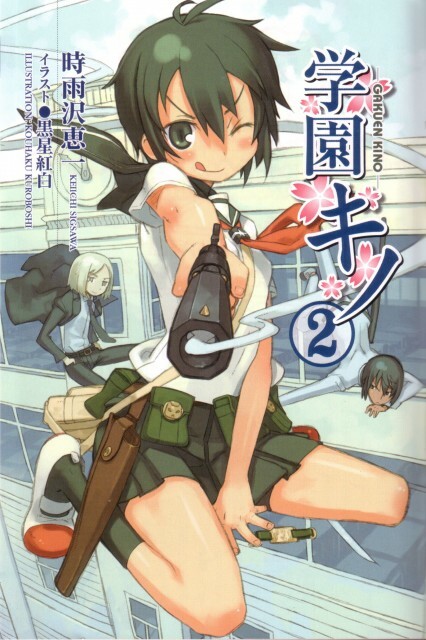 The cover page for Gakuen Kino 2. Kino, with chibi-Shizu and chibi-Rikutarou. This is a work of fiction. Any resemblance to events, people, or Kino no Tabi is purely coincedental. Browse Gakuen Kino Gallery: Recent | Popular. Hey, Kino actually looks like a girl here! haha Kino looks so cute! Thanks for sharing..... nice pic!